Live or vacation within 1/2 mile of world's most beautiful beaches including Henderson State Park. Take the tram that runs every 20 min. to nearby beaches. The Destin Commons and Silver Sands Outlet malls are both nearby for shopping needs. Amenities include on site restaurant, swimming pools, tennis courts, gift shop, covered parking garage, conference facility & fitness center. This third floor unit comes tastefully furnished and ready to enjoy. Master bedroom & living area open to balconies. Unit has a spacious open living area, great for entertaining. 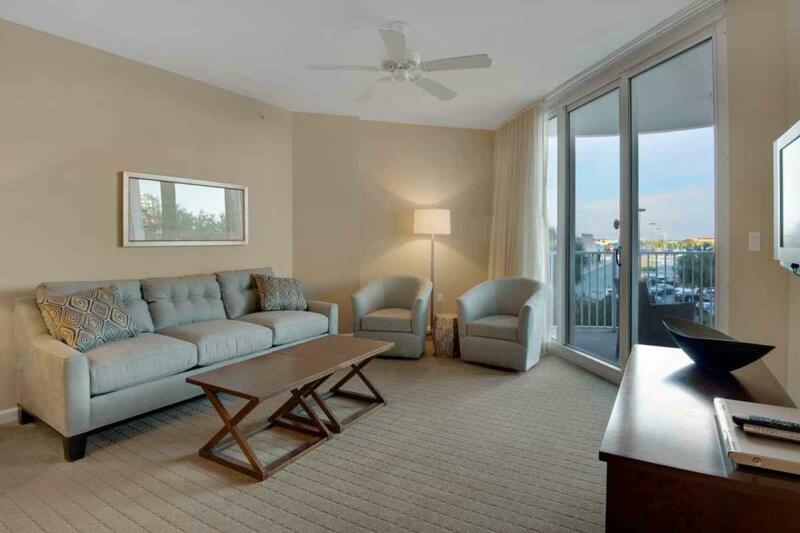 Relax in the heart of Destin on the Emerald Coast!